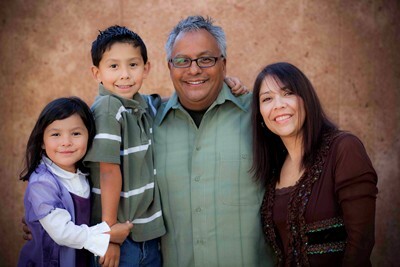 Dave & Cheryl Rios thank you for your partnership, support, encouragement, and most of all your prayers. Prayer is the foundation of GodMoves Ministry and our family life. Be it with our board members, volunteers and partnerships we always have prayer as the cornerstone and start to any and all of shared times together. We need your prayers too, because prayers from ordinary people can make an extraordinary difference in the work we do in the places God has called us to. Our family is devoted to taking the love of Christ into places all over the world and putting our faith into action in practical and meaningful ways. God has appointed us to influence our families, neighborhoods, communities, schools, workplaces, churches and circle of friends throughout His land. We live in the Denver metro area in the wonderful and beautiful state of Colorado. I was born here in Colorado and still am amazed at the hand of God in creating such a beautiful place of serenity as the Rocky Mountains. I am blessed with four amazing children who are all gifted and talented in different areas. Rachel, Nathan, Christopher and Joshua bring me so much joy and I love them so much. God blessed me with a godly woman of amazing love and compassion. She holds and orchestrates our family in the ways of our Lord and is such a giving of herself individual. Cheryl homeschools our children, works part time, has a small business, her own ministry and still finds time to still be a wonderful wife to me, and a mother to our children, while ministering to others, influencing and touching many lives. Please visit my wife's ministry page Full Of Grace Life Groups.